Without extreme debt conditions, economic downturns cannot be created (or at least sustained for long periods of time). According to the amount of debt weighing down a system, banking institutions can predict the outcomes of certain actions and also influence certain end results. For example, if the Fed were to seek out conjuring a debt based bubble, a classic strategy would be to set interest rates artificially low for far too long. Conversely, raising interest rates into economic weakness is a strategy that can be employed in order to collapse a bubble. I believe that it is what launched the Great Depression, it is what ignited the crash of 2008, and it is what’s going on today. Debt is the fuel that keeps the centralization machine running. I am not talking about standard lending, though this can be a factor. What I am talking about is debt created through policy; debt that’s created in an instant through the use of subversive and arbitrary measures, like central bank balance sheet initiatives or interest rates. And, debt that’s created through collusion between central banks, international banks, ratings agencies, and government using the removal of regulations, or the implementation of unfair regulatory standards. Debt is a drug. The banks have known this for quite some time, and have exploited the opiate of easy money to leverage entire nations and cultures into servitude or self-destruction. To illustrate this point, let’s look at the debt numbers today. GE is currently in the red for over $115 billion. And this doesn’t include its pension promises to employees, which amount to over $100 billion. Given that only $71 billion has been earmarked to cover the payments, any rate hikes from the Fed constitute a millstone on the necks of GE. The likely result will be continued layoffs. Last December, GE announced 12,000 jobs to be cut through 2018, and it is likely these cuts will continue into 2019. Ford, not to be outdone by GM, is set to announce up to 25,000 job cuts, though the bulk of them may be implemented in Europe. Ford saw its debt rating downgraded by Moody’s earlier this year to one step above junk. With current liabilities of around $100 billion and only $25 billion in cash holdings, Ford is yet another company of the verge of crumbling due to huge liabilities it cannot afford to pay more interest on. By lowering interest rates to near zero, what the Fed did was create a culture of irresponsible risk, and I believe they did this knowingly. 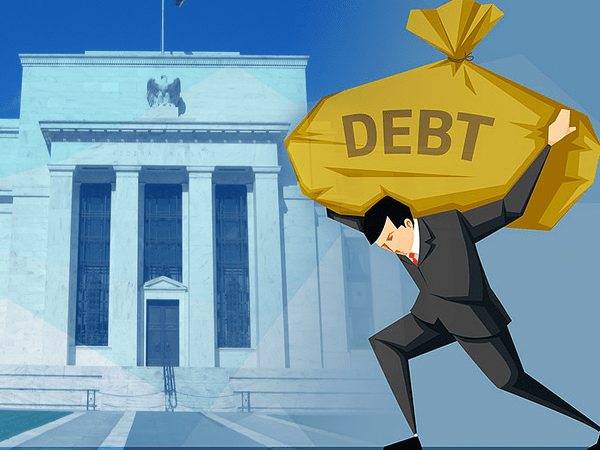 Even Donald Trump has tied himself to the performance of the stock market and embraced the debt addiction, arguing for the Fed to stop or reduce interest rate hikes to keep the debt party going. But the Fed is not going to stop. Why would they? They have created the perfect bubble. A bubble that encompasses not only corporate debt, consumer debt, and stock markets, but also bond markets and the U.S. dollar itself. If the goal is a move to centralize power, then the banking elites have the perfect crisis weapon in their hands. As noted earlier, it is not only stock investors that are dependent on Fed interest rates, but also the U.S. government, as treasury debt becomes less desirable for foreign buyers. Both China and Japan have been quietly reducing treasury holdings and purchases. Failing bond auctions have been cited as a trigger for spikes in Treasury yields since the beginning of 2018. Even U.S. debt and the dollar is embroiled in the “everything bubble”. Debt is the key to it all. And to understand who benefits from economic crisis, one only needs to examine who controls the debt.